Dash, 53, is the Founder of StartupMalaysia.org – an organization he founded in 2011 with a vision to help people launch meaningful companies. 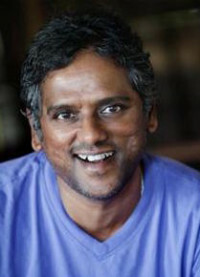 Prior to StartupMalaysia.org, Dash was a serial entrepreneur with extensive experience in the startup ecosystem. He was also the first Director of the Founder Institute in Perth, Western Australia – he was a pioneer in bringing the first accelerator to Western Australia. Dash currently is a Judge for the MIT Innovators awards for under 30 for the Asia Pacific region and also a member of the Global Jury for the Creative Business Cup which runs its competition in more than 70 countries. During his free time, Dash conducts many office hours to help young entrepreneurs launch their ventures. Dash has been involved in the entrepreneurship scene since 2000 where he became a committee member in the Technopreneurs Association of Malaysia (TeAM) and later its Honorary Secretary and then its President. TeAM was set up to be the voice for Technopreneurs in Malaysia. Dash was later chosen by the Kauffman Foundation in the US to be the host for the Global Entrepreneurship Week (GEW). GEW is a Global initiative in celebration of entrepreneurship. Dash was nominated the best Global Host in 2009 and in 2010 was invited by President Barack Obama for the inaugural Global Entrepreneurship Summit in Washington D.C. At the same time, Dash was awarded the prestigious IVLP fellowship by the US State Department. On his return to Malaysia in 2010, Dash founded StartupMalaysia.org with a mission to help increase the number of fundable startups in Malaysia and the region. In 2011, Dash brought an event that was a catalyst to inspire many young people to launch startups, The Silicon Valley Comes to Malaysia (SVCM). As a result of this event, Dash was able to send 10 entrepreneurs to Silicon Valley for a month – one of it being Piktochart, a successful global startup based in Penang now. Dash was also pivotal in bringing the GES to Malaysia. In 2013 Dash organized the Global Startup Youth (GSY) as a side event of the GES that brought 500 youth from 100 countries from around the world for a 3 day hackathon. The GSY event created an global awareness amongst youth on the vibrancy of the Malaysian startup ecosystem and opened up new connections for the Malaysian startups. Since then Dash has been involved in various other entrepreneurship initiatives in Malaysia – especially in his role as President of the Global Entrepreneurship Movement (GEM) and also as a Program Head of the University Entrepreneurship Masterclass program that trains university students to launch ventures. Dash holds an MBA from the Edinburgh Business School and a Postgraduate Diploma in Entrepreneurship from the Judge Business School, University of Cambridge, United Kingdom. Recently Dash completed an 8 weeks Entrepreneurship Bootcamp with the Massachusetts Institute of Technology (MIT).